If you’re looking for the newest, hot tubegun set-up, check out BAT Machine’s new 3-Lug tubegun action. This new action, created with design input from Gary Eliseo of Competition Shooting Stuff (CSS), is designed to work perfectly in Eliseo’s modular tubegun chassis systems. The new BAT “tubegun special” action features a smooth, short-throw 3-lug bolt along with an integral, large-diameter recoil lug precision-machined as part of the action. The new BAT tubegun action will mate perfectly with an all-new tubegun chassis kit Gary Eliseo has “designed around the action”. Gary Eliseo is excited about the BAT 3-Lug and he will be offering a new chassis for this “tubegun special” action. The new BAT 3-Lug action is shorter than Remington-style actions and Barnard actions, so it will NOT fit in existing Eliseo tubeguns. Accordingly, to use the new BAT 3-Lug action you will need a new chassis kit. Gary may, at some point in the future, offer a retrofit kit, but for now, you’ll need Gary’s new chassis if you want to run the BAT 3-Lug. Gary hopes to deliver BAT 3-Lug-capable chassis kits in about six (6) months time. That sounds like a long time, but remember that it will take you about six months to get your BAT 3-Lug action once you place an order with BAT Machine. The action is currently SINGLE SHOT only, and fits short-action-length cartridges (e.g. 6BR, .243, .308 Win). Price for the new action is roughly $1200.00. Both right-hand and left-hand versions will be offered in both stainless and chrome-moly. Extra-cost options will include fluted bolts and dual ports (as shown in photos). The new chassis kit will initially be available for standard RB/RP or LB/LP configurations. Gary believes the new BAT 3-Lug action, when fitted to his new chassis, will be ideal for Palma, Long-Range Prone, and F-TR Shooters. Gary says: “This new action is stiff and smooth, with a fast 60° bolt lift. It offers many of the best features of a Barnard action, in a more compact, American-made design, available in stainless steel as well as chrome-moly.” (Barnards are chrome-moly only.) 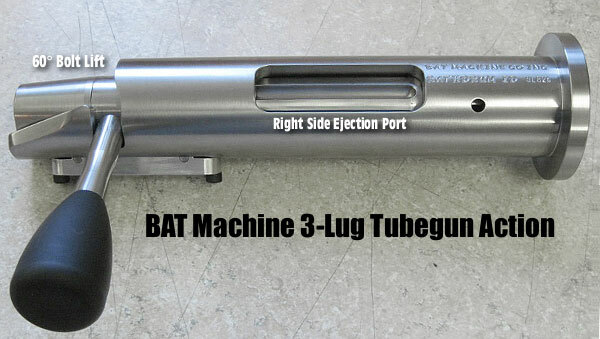 BAT Machine is currently accepting orders for the 3-Lug Tubegun action and you can order the new Eliseo Chassis designed around this action from CompetitionShootingStuff.com. Share the post "New BAT Machine 3-Lug Actions for Eliseo Tubeguns"
The story of Hodgdon Powders begins with one number: 4895. Founder Bruce Hodgdon, a handloader and U.S. Navy veteran, knew that after WWI tons of surplus powder were dumped at sea. 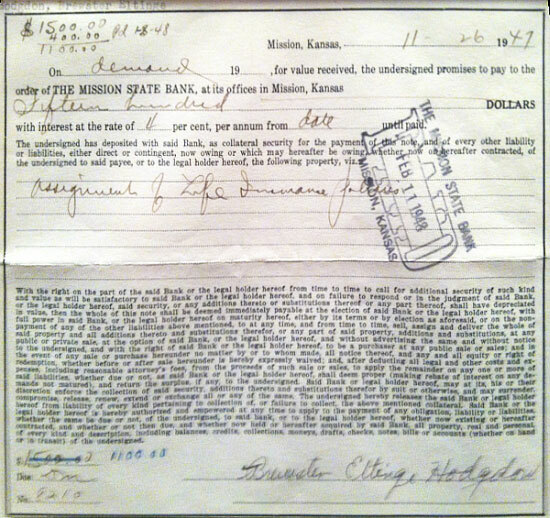 After WWII, rather than let it all go to waste, Bruce borrowed against his life insurance and bought 25 tons of 4895 from the U.S. Government. It was the perfect powder for the flood of surplus M1903 Springfield rifles chambered in .30-06. The rest is reloading history. Share the post "How Hodgdon Powder Co. Started — With a Life Insurance Loan"
Meopta USA now offers additional versions of its award-winning MeoPix® iScoping Adapter to fit Swarovski, Leica and Zeiss spotting scopes and binoculars, as well as most popular mid-level optics brands. With this iScoping Adapter, you can use your iPhone to record still images or video of the view through your spotting scope. This is great for capturing views of your target, or to record mirage conditions and flag positions for later study. 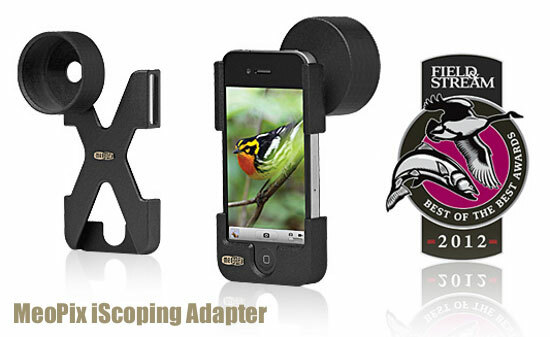 Available in several eyecup diameters, the MeoPix® iScoping adapter correctly positions an iPhone® 4/4S to a spotting scope or binocular eyepiece. Proprietary technology provides a secure fit to the iPhone and precise alignment to the spotting scope or binocular eyepiece. Priced at $59.99, the iScoping Adapter is sold by Cabelas.com and major optics dealers. “The overwhelming responses and feedback about the MeoPix iScoping Adapter convinced us to make versions to fit most popular brands of optics” said Meopta USA GM Reinhard Seipp. Download MeoPix Adapter Fit Guide Chart (find correct size for your spotter). Share the post "Meopta Expands MeoPix iScoping Adapter Line"